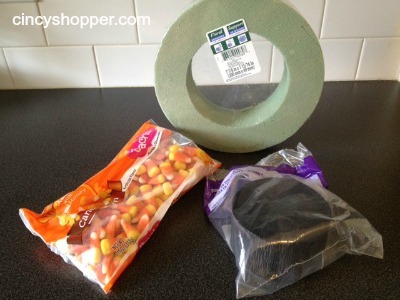 If you are looking for some inexpensive fall decor you should consider throwing this DIY Candy Corn Wreath together. My daughter likes doing crafts so I talked her into spending some time with me this past weekend putting up all of our fall decor and making some new to add. It was great spending time with her we both had a very enjoyable time. The older she gets the less time she wants to spend with her momma. She noted a few ideas that she had for some frugal fall decor that would be inexpensive, cute, and easy! This DIY Candy Corn Wreath was the first on her list that she was hoping to add to a few of our windows. I let you know in yesterdays recipe Candy Corn Cupcakes that my family is addicted to candy corns so this project did seem quite appropriate for our home ha ha! Decorating on the cheap is always a must considering I am always trying to stretch our budget. I picked all of the supplies up on the cheap -Dollar Tree for the wreath form $1, Candy Corn on sale at Dollar General $1.50 and streamers less than $1 at the grocery store! We had candy left to snack on and streamer left for out next project. Be sure to watch for Candy Corn sales or check the Dollar Store for the cheapest bags you can find to help with savings! 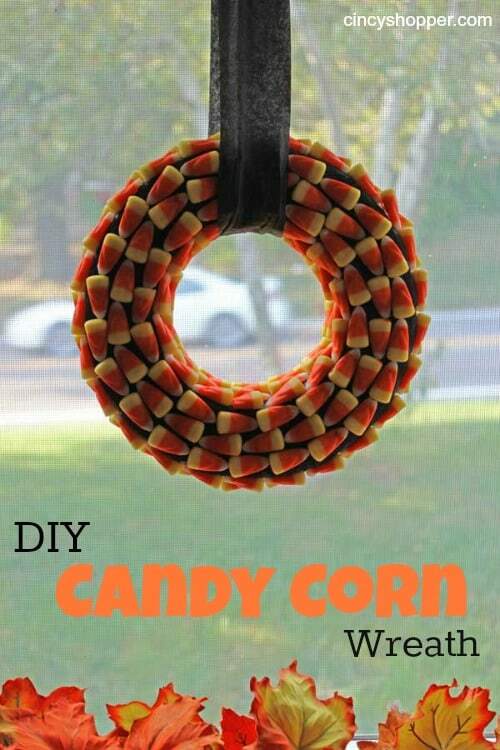 There you have it a cute, inexpensive and YUMMY DIY Candy Corn Wreath. 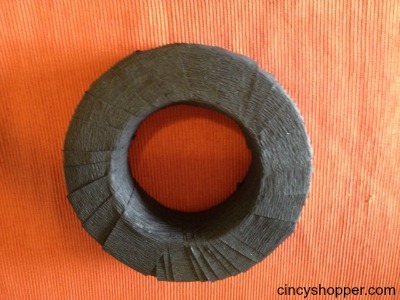 I have had so many compliments on this frugal craft I think more than most of our DIY crafts. If you are looking for other Frugal Decor ideas check out this DIY Repurposed Sweater Vase, this DIY Fall Scrap Fabric Garland or DIY Bats on a Branch.